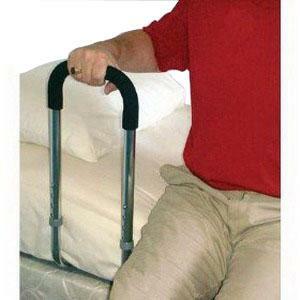 An easy, affordable solution for people who have difficulty getting out of bed. Ideal for people with back pain. 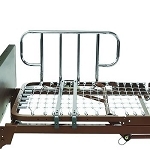 The steel handle is mounted to a 20" x 29" (51 x 74cm) bed board that is placed between the mattress and box spring. Will not tip or pull out. Handle measures 9" wide x 17" (23 x 43cm) tall. Supports up to 150 lbs. (68kg).